Don’t let your plans for great advertising crash and burn! 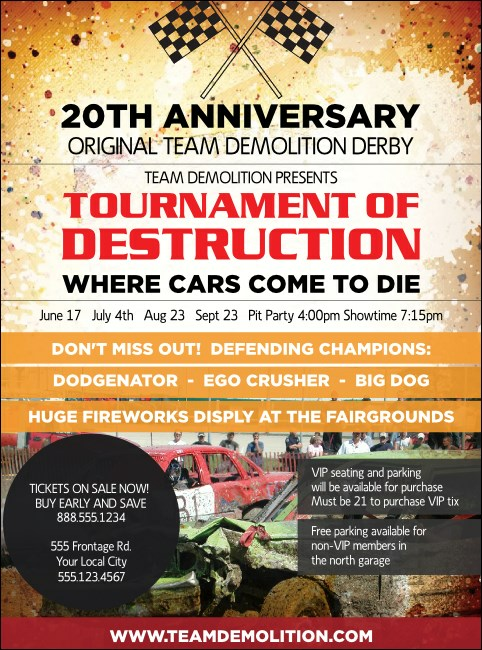 Print Crash Zone Flyers and promote your demolition derby event in advance. These motorsport-friendly Flyers feature a colorful speckled orange background with two smashed-up derby cars pictured and room to customize twenty-three lines of text. TicketRiver.com.au helps keep your event from bellying out!